Snow fell in northern Florida — part of a larger storm system that spread freezing rain, snow and sleet into Georgia and the Carolinas. 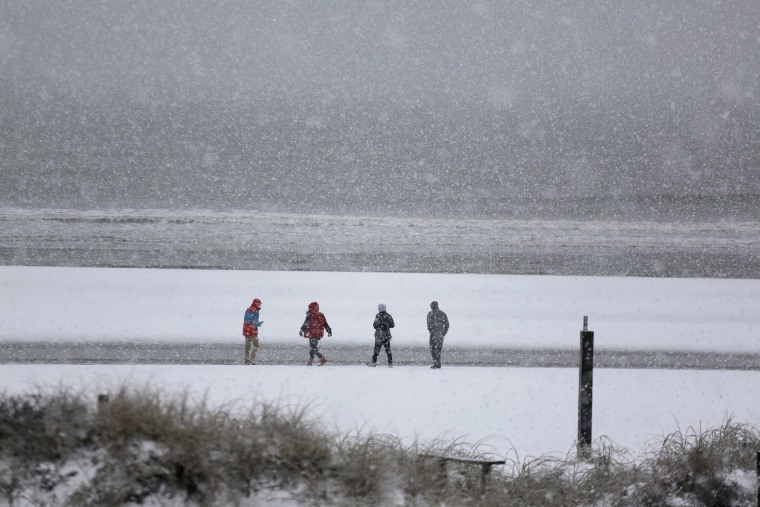 Beachgoers make their way down the beach during heavy snowfall on the Isle of Palms on Jan. 3, 2018. 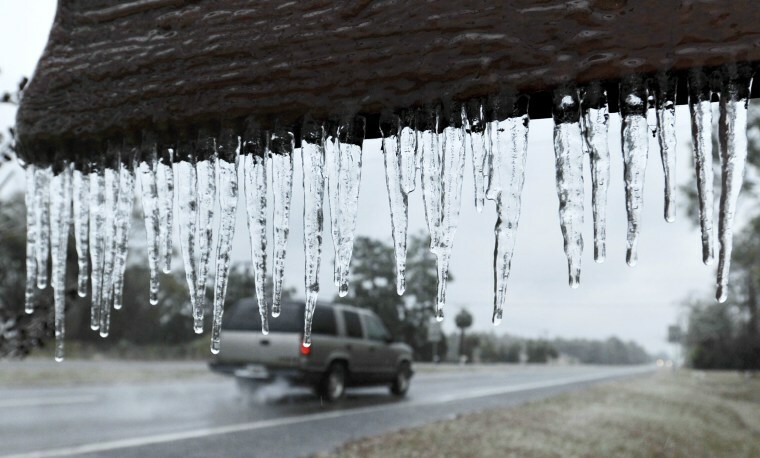 Freezing rain turned to snow on Wednesday afternoon in east Georgia and South Carolina and was making its way into parts of North Carolina, according to the Weather Channel. 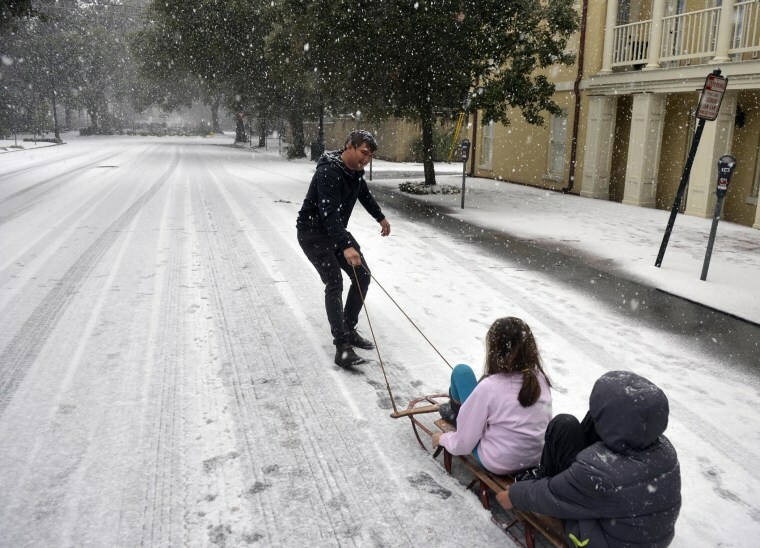 Ramon Martinez takes advantage of little car traffic to pull a sleigh with his children Amy and Anthony down Bull Street toward Monterey Square, in Savannah on Jan. 3. Snow started falling late Wednesday morning in the Savannah area shutting down the city. 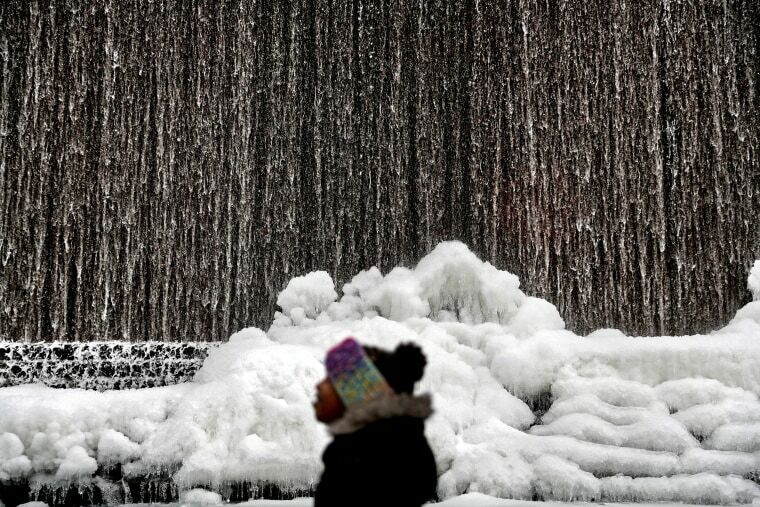 Alora Freeman, 8, watches as ice builds along a downtown water fountain on Jan. 3. 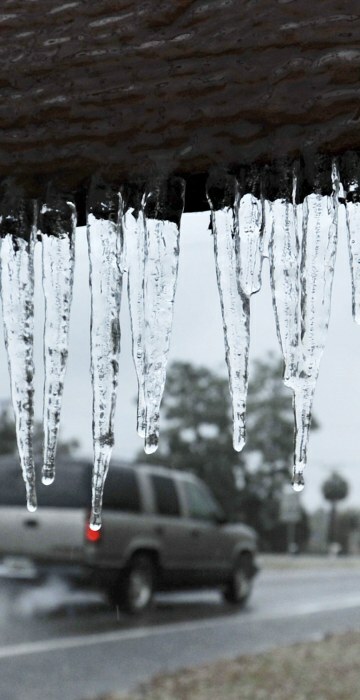 A brutal winter storm scattered a wintry mix of snow, sleet and freezing rain from normally balmy north Florida up the Southeast seaboard Wednesday, adding to the misery of a bitter cold snap. Georgia Gov. Nathan Deal declared a state of emergency through Friday for at least 28 counties because of the frigid weather. 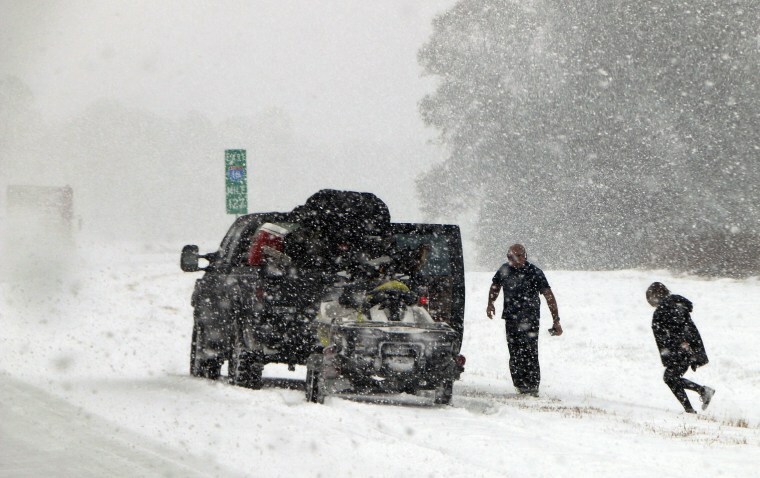 People attend to their vehicle on Interstate 26, near Savannah on Jan. 3. Mirni Dulany, 10, catches snowflakes on her tongue in Savannah on Jan. 3. 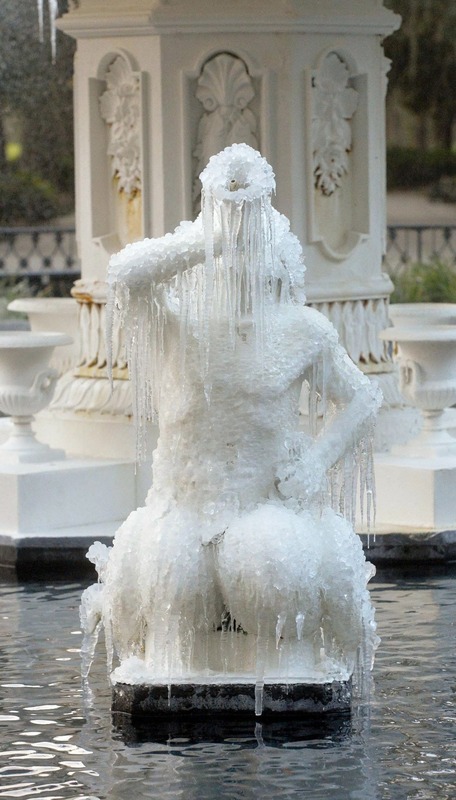 Icicles form on the tritons in the Forsyth Park Fountain in Savannah on on Jan. 2. 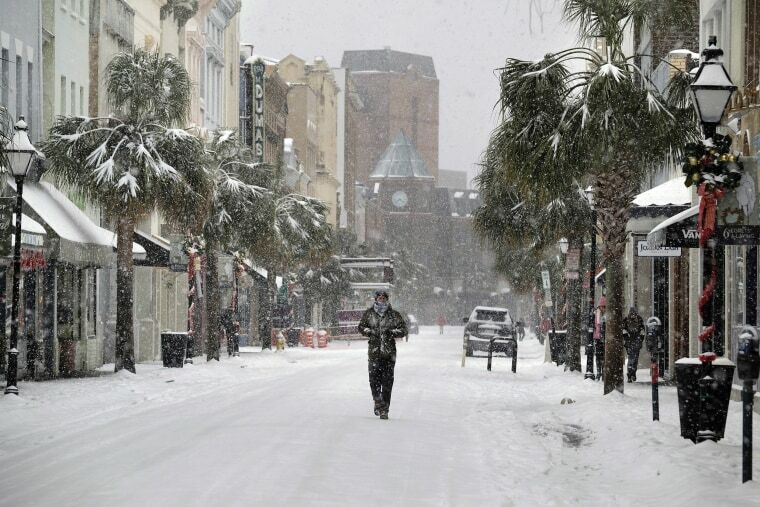 A pedestrian walks in the snow on King Street in Charleston on Jan. 3. 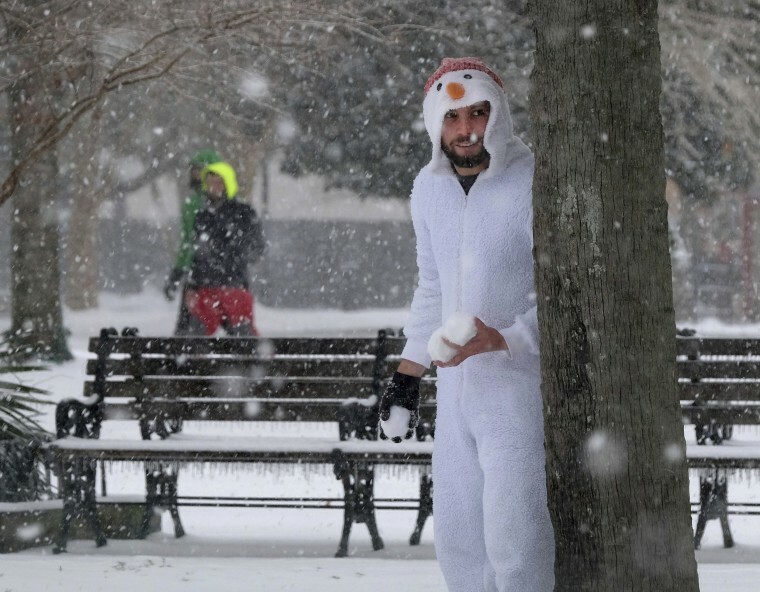 With snowballs in hand, Anthony Arcuri seeks unsuspecting targets at Marion Square in Charleston on Jan. 3. 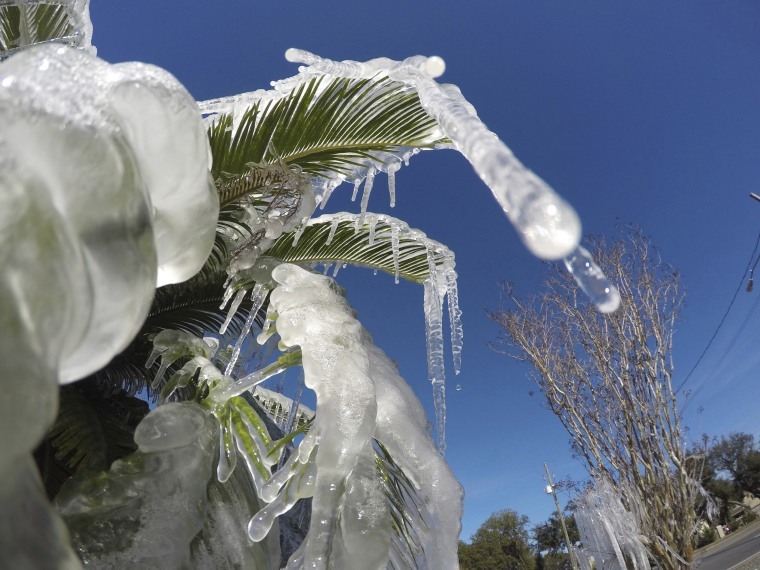 Water is frozen on a tree in Fort Walton Beach, Florida on Jan. 2 after a resident left his sprinklers on. Temperatures are expected to stay below freezing at night for the Panhandle through Thursday morning. 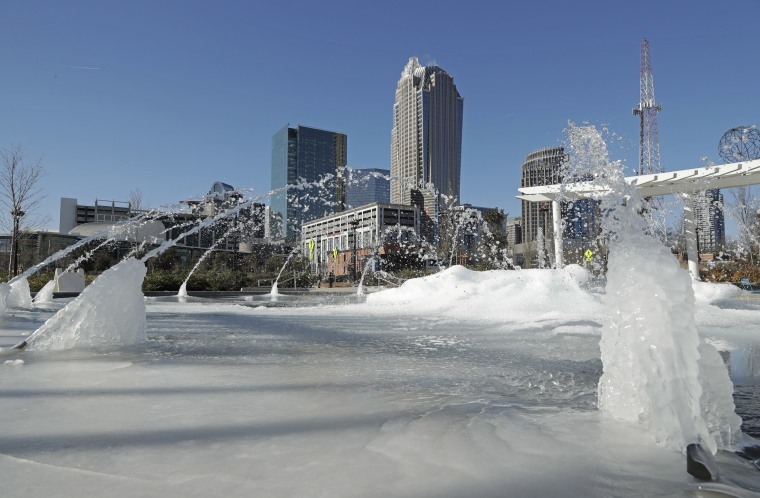 Water squirts from a frozen fountain near downtown Charlotte on Jan. 2. Icicles hang from the "Welcome to Hilliard sign" on Jan. 3. 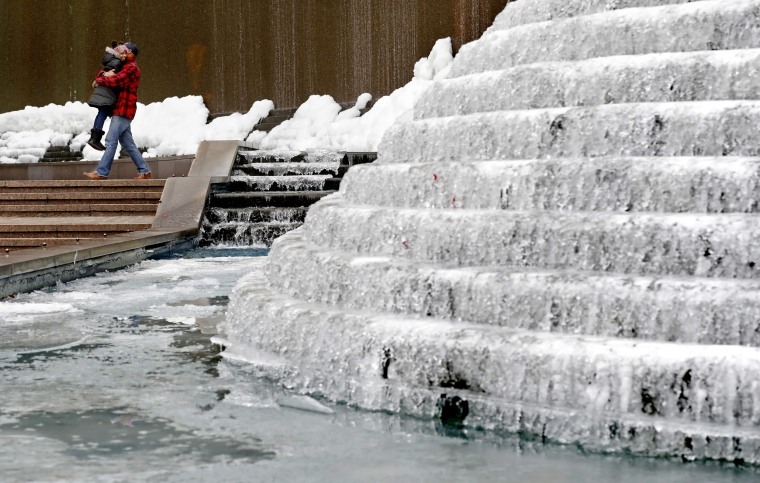 Kenneth Freeman, carries his daughter Alora, 8, as they visit a frozen water fountain downtown in Atlanta on Jan. 3. 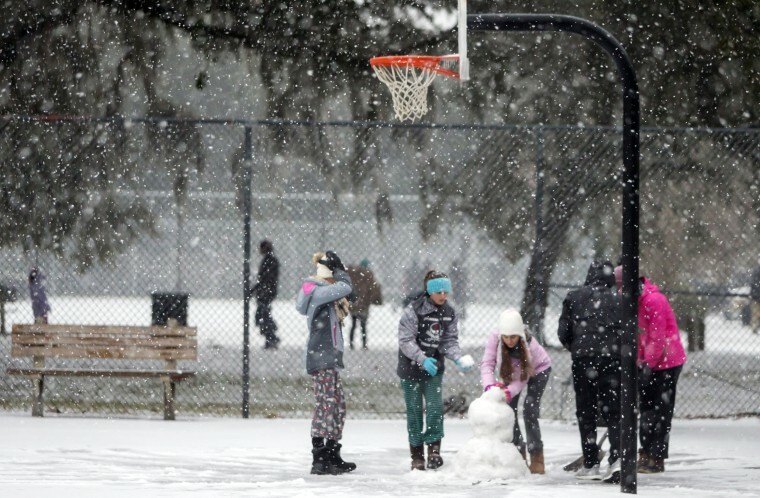 Children build a snowman on the public basketball courts in Forsyth Park, in Savannah, on Jan. 3. 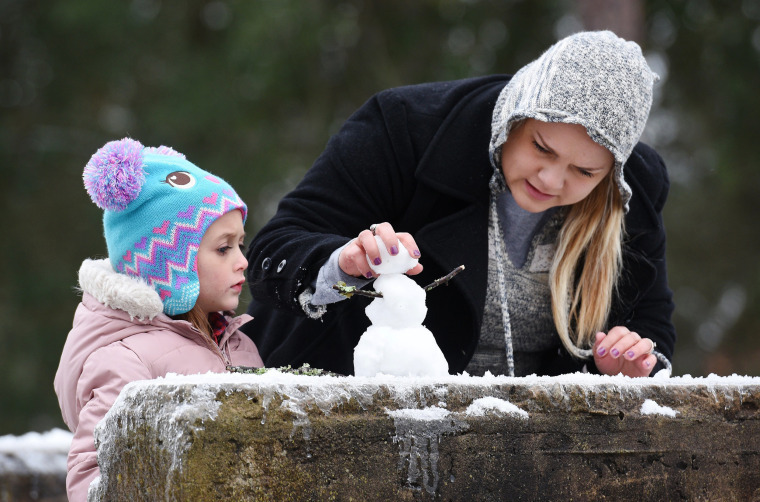 Stephanie Johnson who drove down for Florida to see the snow builds a tiny snowman with daughter Charlie, 6 in Mary Street Park in Waycross on Jan. 3. 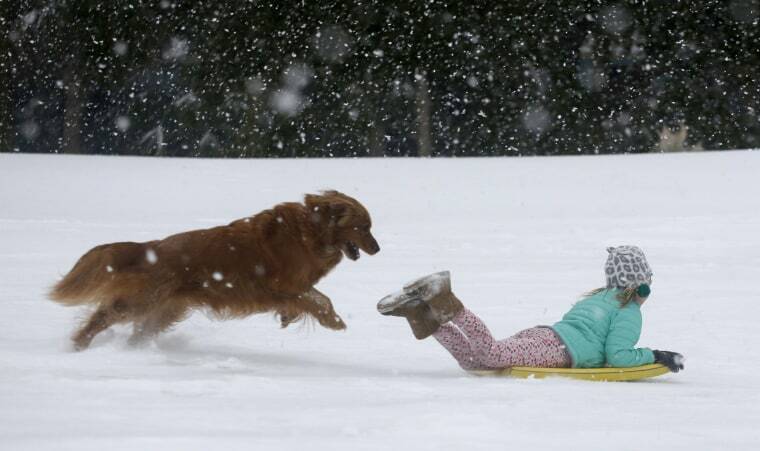 Finley Bork, 7, sleds down a hill while being chased by a playful dog on a golf course in Isle of Palms on Jan. 3. 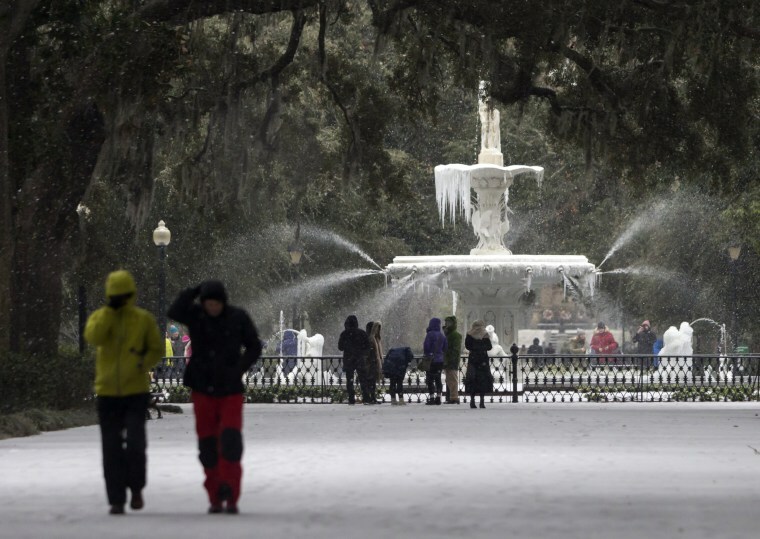 Visitors walk around the frozen fountain and snow covered sidewalks at Forsyth Park in Savannah on Jan. 3. 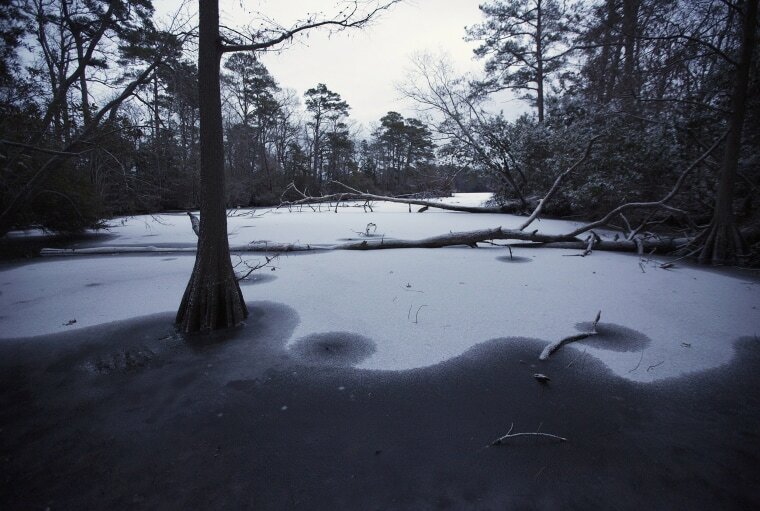 Snow covers the frozen waters of the Lake Lawson Lake Smith Natural Area in Virginia Beach late in the afternoon on Jan. 3. 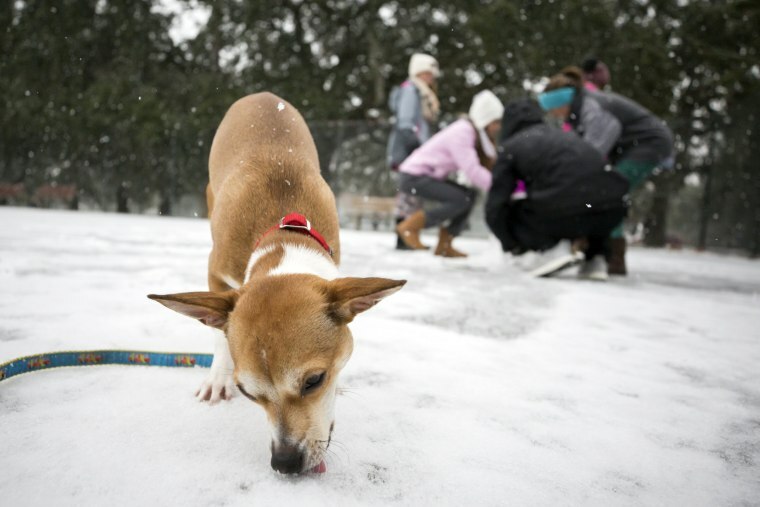 Seeing her first winter weather, 9-month-old Roxie eats snow off the ground of the public basketball courts at Forsyth Park in Savannah on Jan. 3.